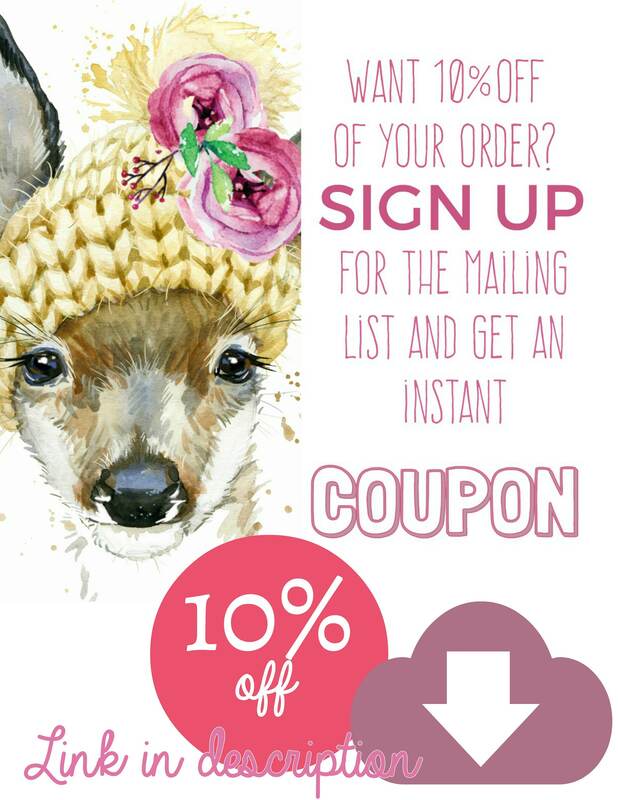 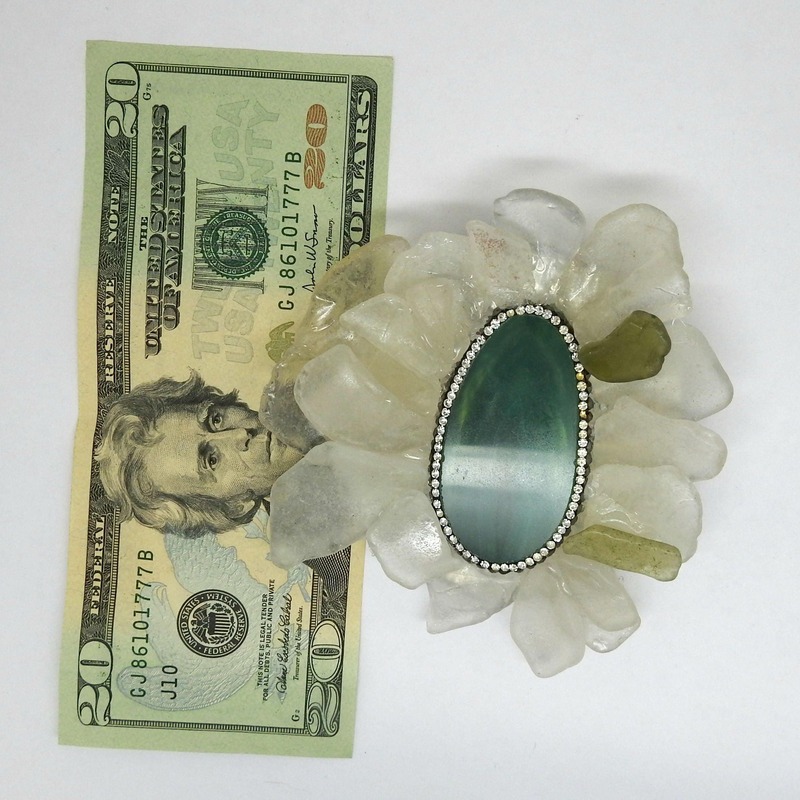 Looking for one unique jewelry gift for her? 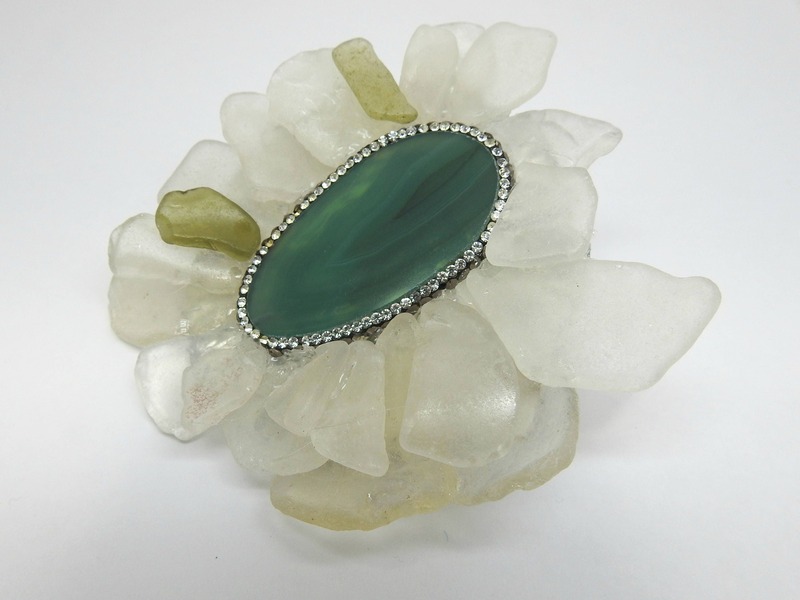 Don't look further, this huge luxury brooch is for you! 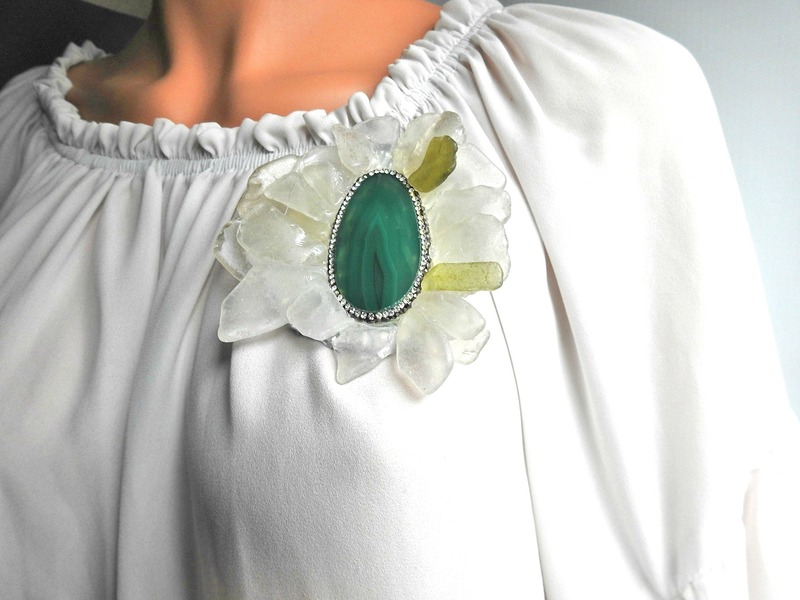 This luxurious brooch is the perfect gift for those who love singular jewelry. 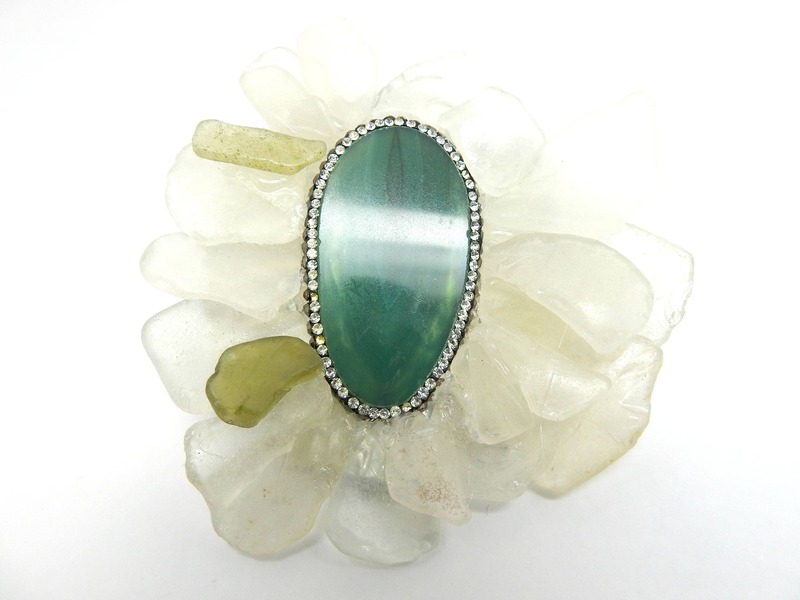 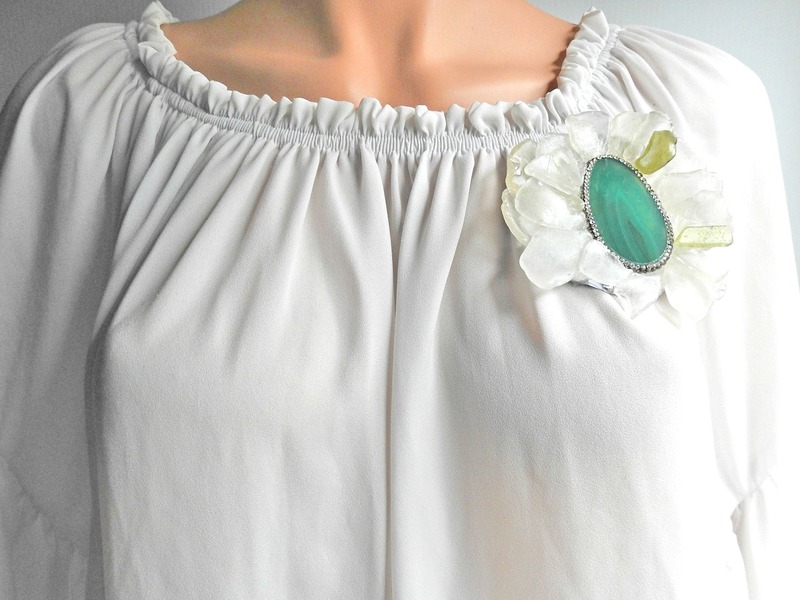 This green and white xpensive brooch will be perfect to wear on a beautiful white coat or a winter dress. 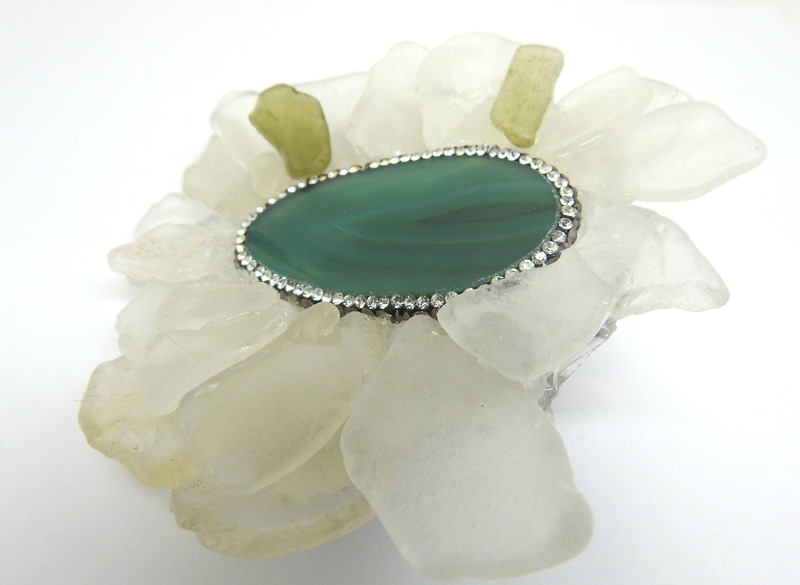 - The center stone is natural, its colors is medium sea GREEN. 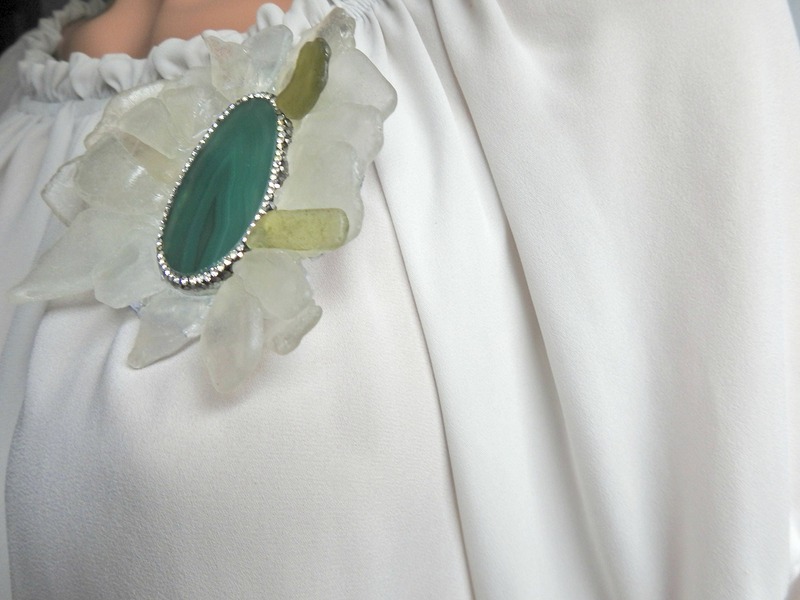 - Some tiny white rhinestone are around the large green stone. 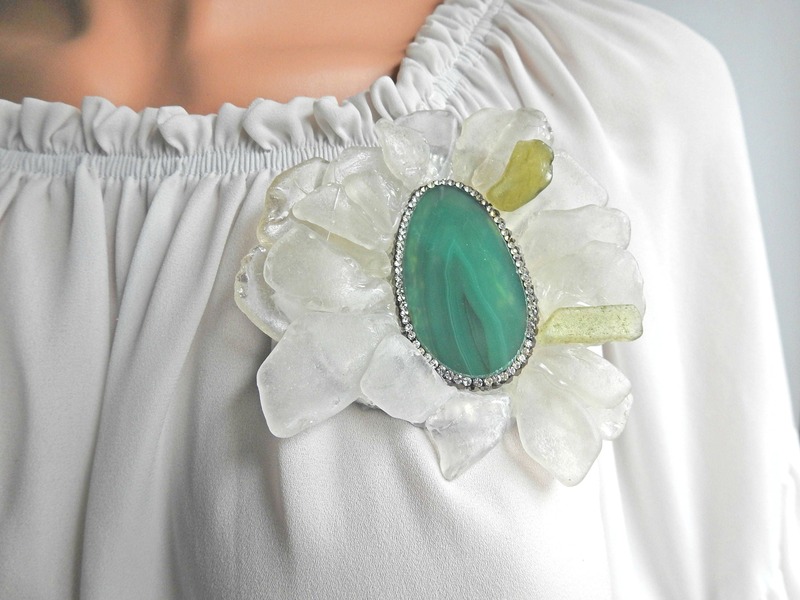 If you want unique jewelry, jewelry that will always attract questions and compliments from your friends, this SEA GLASS STATEMENT BROOCH is for you!